Writing is arguably the hardest thing to teach. For me this is partly because I have never considered myself a stellar writer, but also because there are so many different approaches and styles and a lot depends on the writer's personality. Additionally, it seems that writing has never had the emphasis that reading and math have had (unless you teach a tested grade), so if something has to get squeezed out, it may well be writing. It is amazing how much a fellow teacher can influence you and how you teach when they are passionate about something. One of my partner teachers is passionate about writing and getting students to love it as much as her. 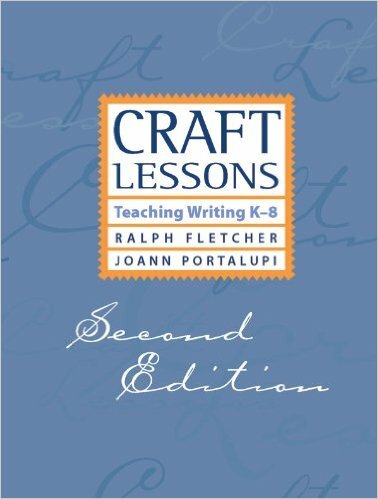 After many conversations about how she teaches writing, and reading several books that she recommended, I have become a better writing teacher. The following are some tips I learned and resources I have found that are beneficial if you are like me and dread teaching writing! Tip # 1 Make Time for Writing Instruction EVERY SINGLE DAY! When I was in the classroom, I found it hard to find the time to actually teaching writing. We wrote across the subjects in an effort to squeeze it in when possible, but what I learned is that my students actually became better writers when I actually taught them skills and strategies that would help them become better writers. Go figure! :) I usually could only manage consistently 20-30 minutes a day for four days a week. Tip #2 Write in FRONT of your students. This may sound silly, but modelling what you expect can go along way! I always thought students would copy my style and I didn't want that. However, what I have learned is that some students (usually the limited proficient students) would copy my style, but it was a lot fewer than I thought. Students benefit from hearing you think aloud and go through the writing process. Keep a writing notebook, similar to theirs so that you can model what is expected. Tip #3 Use MENTOR TEXTS and Anchor Charts. Find a great book, article, letter in the genre that you are teaching and pick it apart based on how the author wrote it. Look at texts from a different perspective than when reading for comprehension. For example, if you are teaching students how to write strong beginnings, find several examples of books that have strong beginnings to share just that first paragraph with them. Then create anchor charts that document these different strategies so students can reference them when they begin writing. Tip #4 Read, read, read! Read aloud, ALL the time , to your students regardless of their age. My fifth graders learned to love to read because I loved to read and that passion is clear when I read aloud. It is important to read aloud a variety of types of texts and when reading, pause and think like the author of the text. Model the strategy and create the anchor chart with students based on mentor texts. Students have a chunk of time to write, independently, in quiet (or with classical music playing). Portland Public Schools K-5 Writing Binder: They have an amazing collection of writing units for K-5 based on the Common Core genres. Find them here. 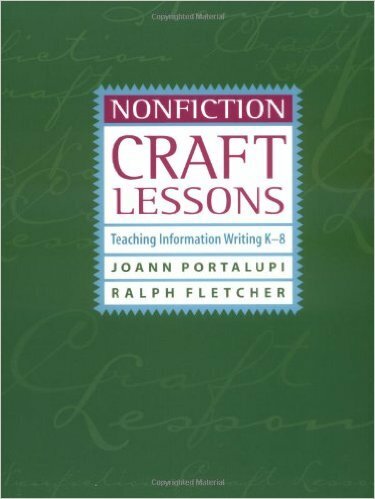 Ralph Fletcher Craft Lessons: He has two books that I have found EXTREMELY helpful in teaching the craft of writing (not the nitty gritty grammar, conventions, etc.). The first is for fictional writing and the second is for nonfiction.